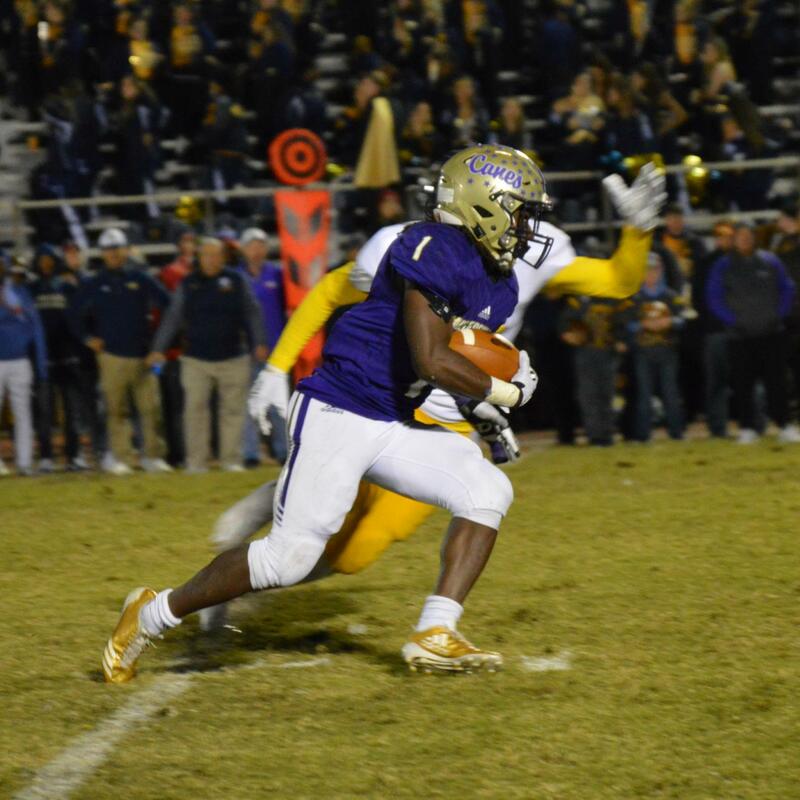 As Cartersville football prepares to make a run in the playoffs, Chipper writers Ryan McCrary and Thomas Smith put together their awards for the regular season. Awards consist of class awards, offensive and defensive player of the year awards, the most improved player award, and the MVP. Players will not be given multiple Chippys. Allen has helped Cartersville tremendously on both sides of the ball. Whether filling gaps and dropping into coverage at linebacker, or running the ball when Marcus Gary needs a rest, Allen is up for every task he is assigned. He’ll be a staple of Cartersville football for the next two years. Coaxum has been Cartersville’s best corner this season and has also helped out at receiver. He has multiple interceptions and has been shutting down receivers all year. He’s one of the main reasons that the Canes’ D has held opposing teams to 6 points per game and had 4 shutouts in 10 games. Chaney has been a force to be reckoned with this season. The 6’4” 230 pound defensive end has been in opposing teams backfields all season. He’s recorded multiple tackles for loss and sacks. He’s a Wake Forest commit who looks to shine at the next level. Last year, Webb sat behind current Clemson starting QB Trevor Lawrence, playing mostly in second halves under a running clock. This year he has really shined, stepping into his starting role and really showing out. He has had some Lawrence-esque games this season where he would rack up 5 or 6 touchdowns in the first half. He has thrown for 2103 passing yards and accounted for 28 total touchdowns. Webb looks to continue his impressive performances deep into the playoffs. Lowe has been Tee Webb’s favorite target this season and for good reason. The 6’5” 240 pound tight end seems to catch everything thrown in his direction. He did have a small case of the dropsies at the beginning of the season, but has proven himself to be the most reliable receiver on the field since then. He is committed to play football at the University of Tennessee. Moorehead has been the leader of one of the better Cartersville defenses in recent years. He makes an impact every single time he’s on the field and is always around the ball. He has been incredible stopping the run and rushing the passer and been good in coverage too. He has recorded multiple sacks and tackles for loss as well as a couple of defensive touchdowns. Hernandez has kicked well this season. He was given the tough task of replacing departed star kicker Jonathan Cruz, and has done it pretty well. He has hit many clutch field goals, converted almost all of his extra points, and drilled lots of touchbacks. Hernandez will only get better as his career at CHS continues. Gary is the heart and soul of a talented Cartersville offense. Generally if he doesn’t have good game, the entire offense doesn’t. He has great speed and incredible vision to hit all the holes. He has also been phenomenal out of the backfield as a receiver. He is truly an every down running back.